A teenager is accused of racing his car in the moments that led up to a multi-vehicle crash in New Hampshire that critically injured an off-duty Massachusetts police officer who was riding his motorcycle and hurt two others Sunday. Somerville police officer Louis Remigio is being treated at Portsmouth Regional Hospital after he was hit by Mercedes-Benz on I-95 southbound in North Hampton that several witnesses reported was racing other vehicles, New Hampshire State Police said. 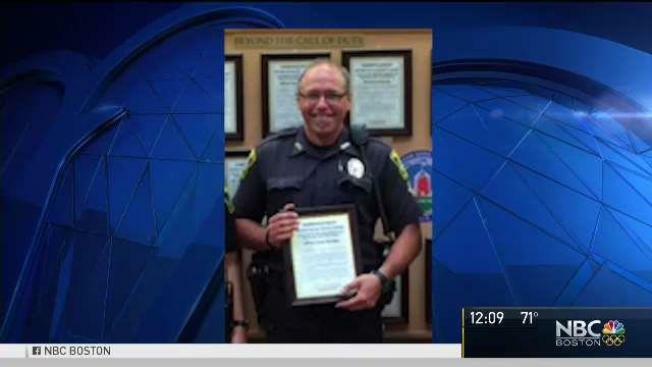 Officer Remigio, a 55-year-old Tewksbury resident, is surrounded by family, friends and other officers at the hospital, according to the Somerville mayor's office. State police in New Hampshire say a Subaru Legacy rear-ended the Mercedes-Benz because it could not stop in time, and the driver of the Subaru, 63-year-old Wells, Maine, resident John Bamford, and his passenger, 61-year-old Jaclyn Bamford, were also taken to a local hospital for non-life-threatening injuries. Two other vehicles were also damaged when their drivers were unable to avoid debris from the crash. The driver of the Mercedes-Benz, identified as 18-year-old Michael Ricci of Burlington, Massachusetts, was arrested on a felony reckless conduct charge and is currently being held on $10,000 cash bail at Rockingham County Jail. He's schuduled to be arraigned on Tuesday at the Seabrook District Court. It's unclear whether he has an attorney.